Why do insurance companies play rough with legitimate claims? And, more important, what can you do if it happens to you? (Money Magazine) -- When Jacqueline Epcar of Valley Glen, Calif. turned 19 last year, she no longer qualified for coverage on her parents' health plan. So her mother, Ellyn, signed her up for a new individual policy with Blue Shield of California. The insurer cashed the Epcars' check, and their broker gave Ellyn a policy number and told her coverage would start July 1. REJECTED: Ellyn and Jacqueline Epcar - Valley Glen, Calif. Jacqueline, diagnosed with an auto-immune disease, was left with no coverage and $8,000 in medical bills when her insurer refused to honor her claims. 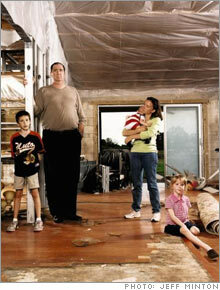 LOWBALLED: Geoff and Stacy Still -Coral Springs, Fla. After a hurricane made their house unlivable, the Stills were offered $64,000 for repairs from their insurer. Estimated cost of the fix-up: $175,000. 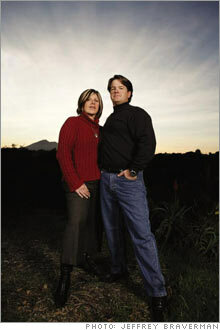 DENIED: Barbara and Don Saxby - San Rafael, Calif. After Don Saxby had an expensive operation, his insurer rescinded his policy. Now he and wife Barbara owe more than $400,000 in medical bills. Shortly after, Jacqueline went to the doctor with a sore throat - she'd been getting them for months. The doctor in turn sent her to a specialist, who ordered a white-blood-cell scan. The scan indicated an auto-immune disease. That's when Blue Shield decided that it hadn't really meant to cover Jacqueline after all. The insurer sent a letter explaining she was not eligible for a policy because she had, among other conditions, inflammatory acne. But she didn't. So the Epcars refuted the information. Blue Shield then sent a new rejection letter saying Jacqueline's policy hadn't been in effect when she was diagnosed, and it wouldn't cover someone with an auto-immune disease - even though it had already taken Ellyn's money and given Jacqueline a policy number. The rejection left the Epcars with $8,000 in medical bills, an uninsured daughter (later diagnosed with lupus) and bitter feelings toward their insurer. Most of the time, when insurers don't pay, the reason is obvious. Maybe you missed a premium payment or forgot to mention last year's quadruple-bypass surgery on your application. Or maybe your policy's fine print excludes the kind of damage you incurred. But sometimes, as in the Epcars' case, an insurer's reason for not paying is...well, hard to fathom. Are insurers more hard-nosed with claims than they used to be? Since the industry is regulated by the states, there are no national data to draw on. But the scattered state-level evidence suggests that insurers may be taking a harder line. In Michigan, for instance, complaints against insurers are up 16 percent over 2001, while in Connecticut, justified complaints against health insurers (those considered to have validity by regulators) have risen more than 60 percent since 2000. Enforcement action is up too: In Texas last year the number of cases against insurers increased 21 percent compared with 1999. Current headlines, meanwhile, leave a strong impression. For starters, there's the ongoing Hurricane Katrina saga, in which companies like Nationwide, State Farm and USAA debate thousands of plaintiffs on such existential issues as whether the damage to the Gulf Coast was due to flooding, which typically isn't covered, or wind, which is. Against this contentious backdrop, it's ironic that insurers are thriving. Big public health carriers have been posting 20 percent-plus gains in earnings, and property/casualty companies (which cover, for example, autos and homes) are more profitable than ever. Or maybe it's not so ironic. A study this January by Robert Hunter, a former insurance commissioner of Texas, now the insurance director of the Consumer Federation of America, shows that property/casualty insurers are paying out less in claims relative to the premiums they collect than at any time in the past 20 years. That's partly due to smart underwriting and higher premiums, which have jumped 100 percent or more in some coastal markets over the past few years. But lower claims payouts also play a role. Hunter, along with a chorus of consumer advocates, attributes some of that to increasingly aggressive claims management across the industry. More bare knuckles in the claims department, more battles with consumers.